The recent visit of Azerbaijani President Ilham Aliyev to France, which came at the invitation of Emmanuel Macron, has demonstrated the whole world that the relations between the two countries have reached a new historic high. France, one of the most influential countries of the European Union and leading member of NATO, and Azerbaijan have a long-standing relationship. It began with the opening of the French Embassy in Azerbaijan in February 1992 and launch of the activities of the Azerbaijani Embassy in France on November 20, 1994. For the past period, close ties have been established between Azerbaijan and France in political, economic, and military spheres. Deepening cooperation with France is an important factor that can have an impact on Azerbaijan's relations with the European Union (EU). Today, Azerbaijan is one of the countries contributing to the energy security of Europe, and, thus, Paris regards Baku as an equal partner. From the point of view of the framework of official meetings and the scale of the issues discussed, the visit, which defined political and foreign economic directions for further strengthening of relations, can be confidently called historical. Fruitful meetings held with representatives of 11 French companies during this visit opened up wide opportunities for economic cooperation between the two countries. They are very useful in terms of creating broad prospects for the development of cooperation in various spheres of the economy. Meetings with influential companies of France, carrying out activities in various fields, will raise their interest in Azerbaijan. There is no doubt that as a result of this, not only the volume of French investments will increase significantly, but also their directions will expand. Numerous contracts signed can be viewed as another victory of the foreign economic policy of Azerbaijan's leadership. France has one of the strongest Armenian lobbies, and direct contacts play a big role in diminishing its influence in Europe. Against this background, the conclusion of contracts worth more than $2 billion between Azerbaijani and French companies is an absolute success. Contracts and agreements allow both countries to know each other better, while also being a kind of example for other European countries, which will strive for even deeper and closer cooperation with Baku. Azerbaijan, by implementing its huge transport, logistics and energy projects, continues to prove that it is a reliable partner for Europe, which, in turn, views tghe country as the most stable state of the former Soviet Union. The agreements reached in Paris testify to the special significance that France attaches to the growing authority of Azerbaijan. Azerbaijan is France’s leading economic partner in the South Caucasus, with a bilateral trade volume of 739 million euros in 2017. 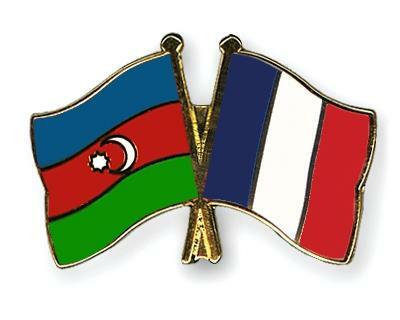 Better relations with such a power as France will further contribute to Azerbaijan’s exemplary reputation on the international arena. Given that France is also a co-chair of the OSCE Minsk Group, President Aliyev’s constant contact with the leadership of this country is not surprising. There is no doubt that the meetings of President Aliyev with members of the French parliament will also strengthen Azerbaijan's position on the Nagorno-Karabakh conflict. The communiqué circulated by the Elysee Palace after the meeting of the two heads of state gives grounds to believe that France and Emmanuelle Macron personally will make efforts to find ways to resolve the Nagorno-Karabakh conflict as soon as possible. The French president stressed that he will continue to work in search of a negotiated solution, which is the only option to end this conflict on a long-term basis and in the interests of all the peoples of the region, according to the statement of the French presidential administration. To this end, the visit of Azerbaijani President to Paris turned out to be successful both in economic and political terms.